In this economy, everyone is looking for ways to earn a couple extra spending dollars. For some, finding ways to earn some extra cash is not optional, but crucial. However there are a handful of options to make some quick cash, whether you are a college kid looking for ways to make a few extra dollars for fun or if you’re a recent grad in need of money for everyday expenses. Owning and maintaining a home can be expensive. Paying the mortgage, paying water bills, electricity bills and overall house maintenance can be pricey. If you are living alone and struggling to maintain your home, consider renting out a room in the house. 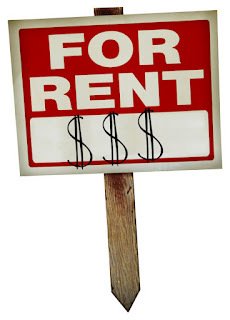 Renting out a room guarantees a steady monthly income to help you take care of monthly expenses. Platinum is worth much more than gold. So if you are in serious need of money and have some platinum jewelry or platinum flatware that you are able to part ways with, then sell platinum! If you are serious about selling your platinum, make sure you pick out a store that will give you a good offer for your platinum. Walking dogs can be a fun and healthy way for you to earn some extra cash. If you are able to find a few dogs to walk in your neighborhood, charging around $5 per dog for half an hour, you can make up to $50/hr for 5 dogs. The hard part is finding clients who are in need of a dog walker. The best way to find dogs to walk is by going door to door and asking your neighbors if they need their dog walked. 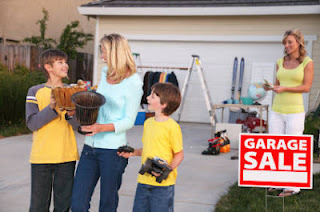 Hosting a garage sale or yard sale is a great way to earn some extra cash, clean out your house and get rid of unwanted stuff. Pick a nice day on the weekend to host your garage sale. Make fliers or spend some money by putting an ad in the newspaper. Think of selling your belongings on ebay and craigslist as a garage sale...online. Selling your belongings online is simple, requires little effort and easily maintainable. However, when using online selling platforms such as craigslist, always be careful when making transactions. If you are a student or live nearby a college, you should look into participating in scientific studies. These studies may vary from psychological study to physical study. Some studies require you to stay overnight, use of needles, physical screenings and so forth. Make sure that you are qualified for the study and that you are comfortable with the study. These studies usually compensate you very well. If you have some time on your hands or are willing to work on the weekends, consider a part time job. Temporary jobs such as waiting on tables, bartending or working at a retail store can help you earn some extra spending money on the weekends. Restaurants and retail stores are always in need of new employees! If you have a knack for arts and crafts, make an Etsy account and start selling things you make! Etsy is the perfect outlet for artists of all types. Build up your reputation by promoting your craft with facebook, twitter, or pinterest! If you have a special skill such as drawing, writing, photography and so forth, consider doing freelance work. Certain companies and organizations are always in search for freelancers. If your work is great and well received, you might even get a full time offer from the company! Parents are always in search of tutors for their kids. Whether they are 4 or 18, parents hire tutors to help out with homework, proofread papers, or help prepare them for standardized tests. Tutors can make anywhere between $10-$60 her hour depending on your skills and what subject you are tutoring. SAT/MCAT/LSAT tutors usually make the most money. Divorce can leave you struggling financially, and knowing a few ways to make some extra money can be very beneficial! I just finished college, and there is no doubt, it is hard to make money while maintaining your studies. I found the best way to do it was by freelancing, or writing articles online for a variety of different companies. It let me be creative, I worked on my own time, and i got to put it on a resume later!